Plans for October’s Friday Night Sew In « Super Mom – No Cape! Tonight is Friday Night Sew In; the monthly virtual sewing bee co-hosted by Heidi from Handmade by Heidi and Bobbi over at Crafty Vegas Mom. 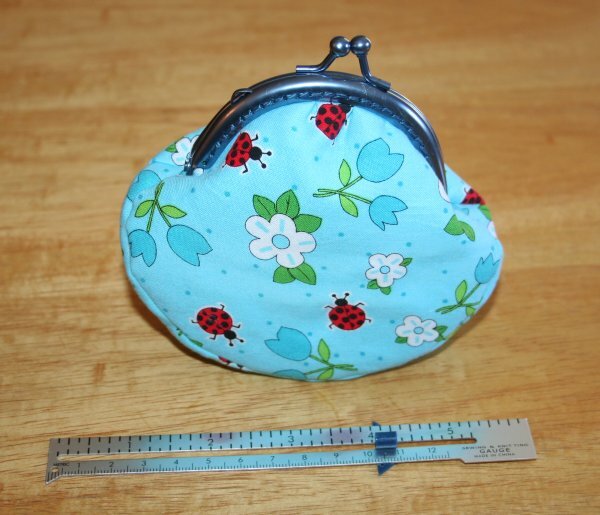 For last month’s sew in I had planned to work on my version of the 10 minute table runner but by the time I got done figuring out how to sew this little purse onto it’s frame, I’d had enough sewing for that particular night. I’ve been super busy working on secret 50th Wedding Anniversary, Christmas and birthday gifts that can’t be shown on my blog until after the gifting takes place. Since a FNSI where I couldn’t share pictures of what I worked on wouldn’t be as much fun, I’m taking a break tonight from gift making and will instead work on getting a couple of those table runners finished using these fabrics that I showed you in September. If you haven’t signed up for this month’s Friday Night Sew In, you can still do so. Bobbi is hosting the sign-ups on her blog this time round and has mentioned that she will be giving away a really cool prize to a lucky FNSI participant. I always enjoy taking time on Saturday and Sunday to visit as many of the FNSI blogs as I can. I hope I’ll be visiting yours. This entry was posted on October 21, 2011 at 12:47 pm	and is filed under Friday Night Sew In, Sewing. Tagged: FNSI, Friday Night Sew In. You can follow any responses to this entry through the RSS 2.0 feed. Both comments and pings are currently closed. You’ll be visiting Nancy’s and mine as we’re getting together to FNSI (along with no blog Amanda) – I saw Nancy this morning and she was headed out to look for tzatziki for snack for tonight — YUMMY!!!!!!!!!!!!!! My projects are kitted and ready, and after supper I’ll unplug my Brother machine (the Singer is just too heavy to tote around, lol) to take with us so we each have a machine 🙂 FUN is in the cards for tonight – that’s for sure! I’m looking forward to seeing your tablerunners! 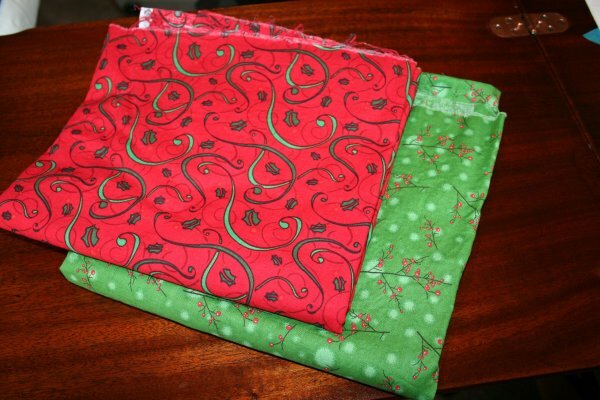 Hey, I recognize that Christmas fabric! We had a great time last night. I hope you did as well! That is one cute, but understandably challenging coin purse!